Sarah Hokom and Jessica Weese won their cards, and Catrina Allen and Paige Bjerkaas took wild card spots. 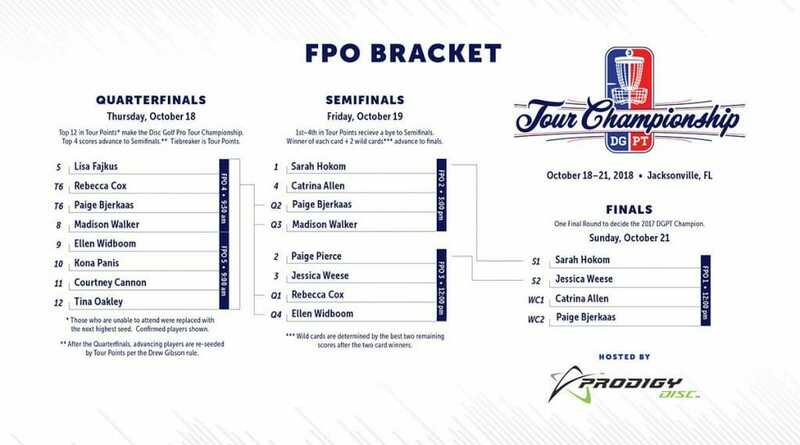 The FPO finals card tee off at 12 pm Sunday and will be livestreamed. Tune in here at Ultiworld Disc Golf tomorrow morning for a recap of today’s action. Comments on "Check Out The Updated DGPT Championship Bracket – FPO Finals"